Fresh out of college, I was ready to tackle the world and I wanted to do awesome design. I had a design job, where I learned a lot, but I wasn't really filling that creative void. So I started Ugmonk as a side project just as something where I could design shirts that I wanted to wear myself, and reach out to see if there were other people interested in buying them. And the first order came in... It was crazy, because I had never sold anything online before. You know, when you launch something, you have no idea if 1 person is going to see it, or 100 people are going to see it. When I got my first order, and then a couple more, and then from Australia, and Europe... I was like... This is really happening! Before I knew it, I had a real business on my hands, without actually planning for it. 5 years later, the brand has grown exponentially, I'm doing it full time, and Ugmonk has turned into a true family business. My brother is a business partner and he develops the site. We also hired our mom to handle the shipping. If you order a shirt from my site, she is the one packing it. Actually, my mom's house is overflowing with inventory right now... but she's been very gracious about it, and she loves being part of the business and helping out. There is something with working with family members that makes it easier. For us it’s worked out really really well. I think for me, keeping my hand busy and doing something creative is just part of myself, it’s in my blood. I’m very thankful I get to wake up and do this every day. Designer and founder of Ugmonk. 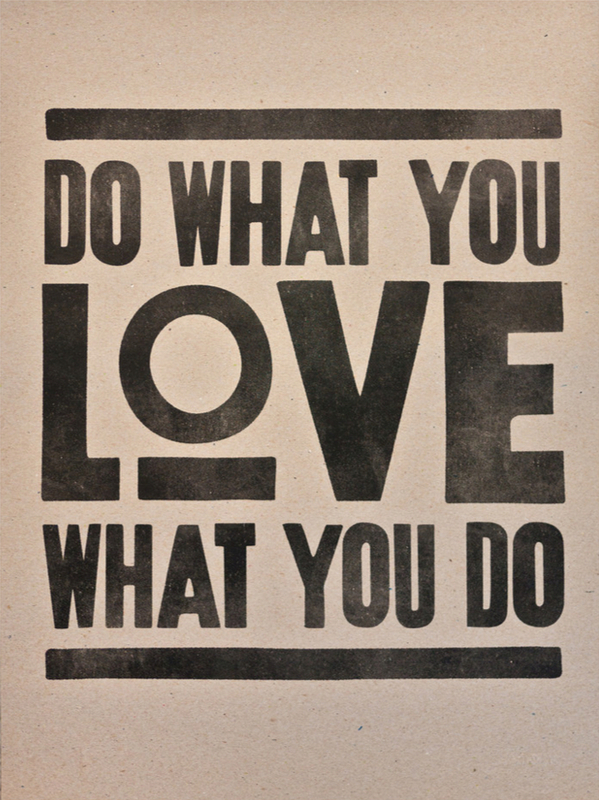 Do what you love, love what you do. Words to live by. Designed by Jeff Sheldon. PS: We think Jeff deserves it. Don't you? Mixing my two passions - art and music - into a job. We are all just winging it.